Annette Squires, 76, passed away Saturday March 23, 2019 surrounded by her devoted family. Annette was born on October 5, 1942, the daughter of the late Dolphors H. Collins and the late Texie Lee Graham. Annette married her late husband Lamar, her high school sweetheart in 1958. They were blessed with 55 years of marriage. Annette was also predeceased by her sister, Mildred Collins Page, and a brother, Ronald D. Collins. 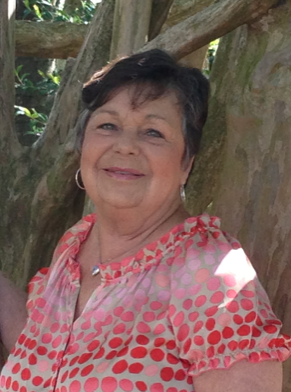 Annette is survived by her three daughters, Donna Goodson (Michael), Pebbles Calhoun (David), Paula Squires (Cornie), four grandchildren, Whitney and Peyton Goodson, Blake Calhoun (Abby), Eli Squires, two great grandchildren, Mason Fowler and Maggie Blake Calhoun, and many special nieces and nephews. In recent years, our mom has struggled with declining health. Her unwavering faith in God along with the infinite love and support of her family, and prayer have carried her through. Even in her darkest hours, Mama found strength for a smile, a kind word, and had the reassurance to know that God was in control. 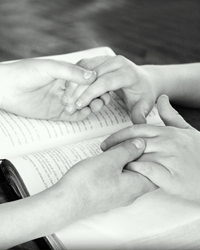 Our parents served in ministry together for most of their married life. Mama held the position of Sunday school teacher, served in women’s ministries and various other capacities. Being an avid part of the ministry, one of her greatest roles was a supportive and devoted wife. A very memorable part of her life’s journey also included being a part of the staff at Midland Elementary as an instructional assistant to teachers. She was a mother role model to many children during this time. The staff and children of Midland were her second family for many years until retirement. Our mom loved life and loved people. She was passionate about gardening, bird watching, and loved the outdoors. Mama was a woman of endless wisdom and grounded faith. Her greatest joy in life was her family, grandchildren, and great grandchildren. We were blessed to call her our own. Although we have experienced a great loss, the legacy she leaves behind for us and the impact she made on countless lives of others will continue. The lessons she taught, the advice she gave, the love she shared, and the examples she set will continue to guide our steps. To the staff of Patriot Hospice, Kim Holden, Seemone Woodberry. Jerry Dowe, Cindy Capps and all those who supported us in this journey, we will be forever grateful to have had you walk with us while caring for and loving our mom well. The family will receiving friends at Annette’s home, 1029 7th Ave. Galivants Ferry SC, 29511, Monday March 25, 2019 from 6:00-8:00 PM. Funeral services will be held 2:00 PM Tuesday March 26, 2019 at Antioch Baptist Church with the Rev. Dean Conner officiating. Memorials can be made to, Cincinnati Children’s Hospital, Department of Development MLC9002, 3333 Burnet Ave. Cincinnati, Ohio 45229.